Throughout the centuries, Christian churches in Europe and America have provided a final resting place for church members on church grounds. Severna Park United Methodist Church offers this option for the interment of cremated remains. In 1982, the ashes of our Associate Pastor, Rev. William Bush, were interred on our church grounds. When inquiries increased toward the end of the 1980’s, a Memorial Garden Committee was appointed to develop an appropriate plan for a “garden” on our grounds. 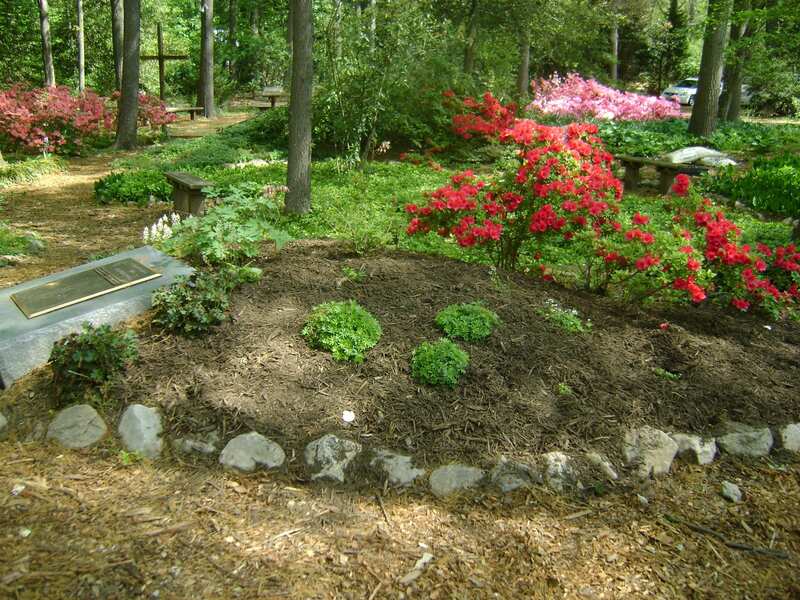 In 1990, during the construction of an outdoor Chapel as a Boy Scout Eagle Scout service project, the wooded area adjoining the Chapel was selected as a desirable location for a Memorial Garden. Again, our Boy Scouts undertook the initial development as another Eagle Scout project and the garden was dedicated on June 2, 1991. Subsequent Eagle Scout projects and individual donations have provided many additional enhancements. The garden provides a quiet place to meditate and pray. 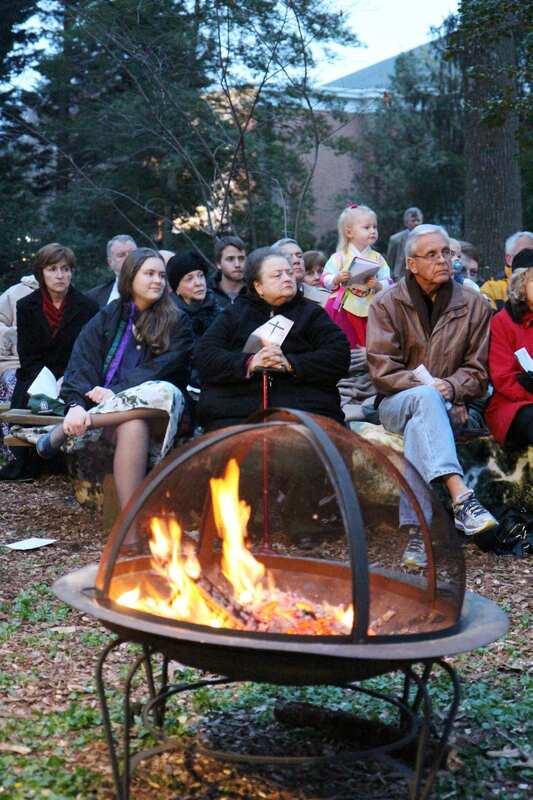 Easter Sunrise service often takes place in the garden chapel. The next Memorial Garden Clean-up will take place on March 17. As you stroll through the garden, you will see bronze plaques identifying the name of the deceased, year of birth and year of death of the individuals who are interred there. 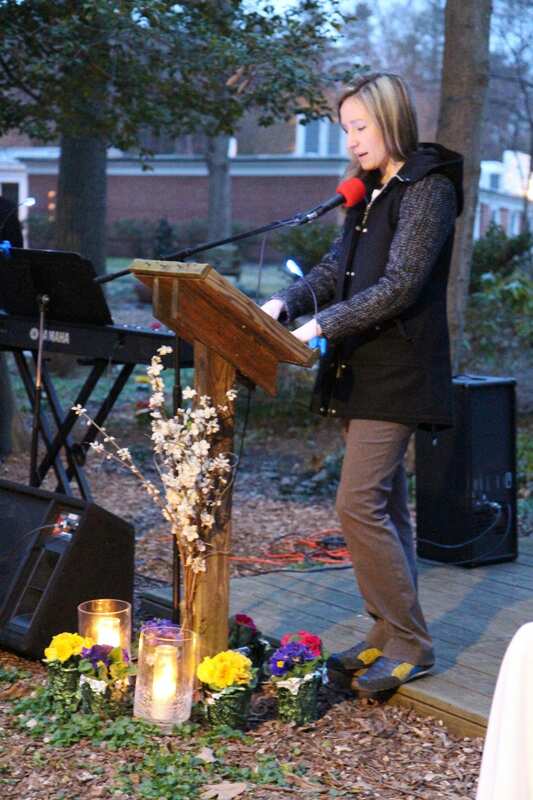 Any member of Severna Park United Methodist Church may be interred in the Garden. Relatives of members may be interred with permission of the Pastors. The Pastor will consider all others on a case-by-case basis. Contact one of the pastors to make arrangements for interment. For more information about the Memorial Garden, please contact Lynnette Cloughley.